Michael Phelps can claim the title of greatest swimmer ever. Phelps is the most decorated Olympian, with 28 Olympic medals, including a record 23 golds. In total — as of fall 2017 — Phelps has won 82 medals in international competition (including the Olympics), 65 gold, 14 silver, and 3 bronze. His career medals record may never be broken. Phelps started his swimming career with some decided obstacles — and some great advantages. As a child and teen,​ Phelps was plagued with attention deficit hyperactivity disorder (ADHD). His mother, Debbie Phelps, played a crucial role in helping her son with his ADHD challenges during his childhood. He's tall, but not too tall. At 6 feet 4 inches, his height gives him enough glide in the water to provide a little extra forward momentum. And, sure enough, some of his gold medal Olympic races ended in mind-boggling "touches" — where he managed to touch the wall first, even though he seemed (to the naked eye) to lose the race. His arm span (or wingspan as some call it) of 6 feet 7 inches is exceptionally wide even for a man of his height. His arms act almost like oars on a rowboat, giving him incredible pulling power in the water. Then there's his unusually long upper body, roughly the length you would expect to see on a much taller man. His long, thin and triangle-shaped torso helps him with his reach, especially on strokes like the butterfly and the freestyle. At the London Olympics, by winning the 200 IM and 100 butterfly, Phelps became the first swimmer to win the same events at three consecutive Olympics, as well as one of the most decorated Olympians of all time. Folks weren't surprised when he retired after the Games. But, he made a comeback in 2014. He struggled, though, and many analysts and even fans figured Phelps was past his prime. 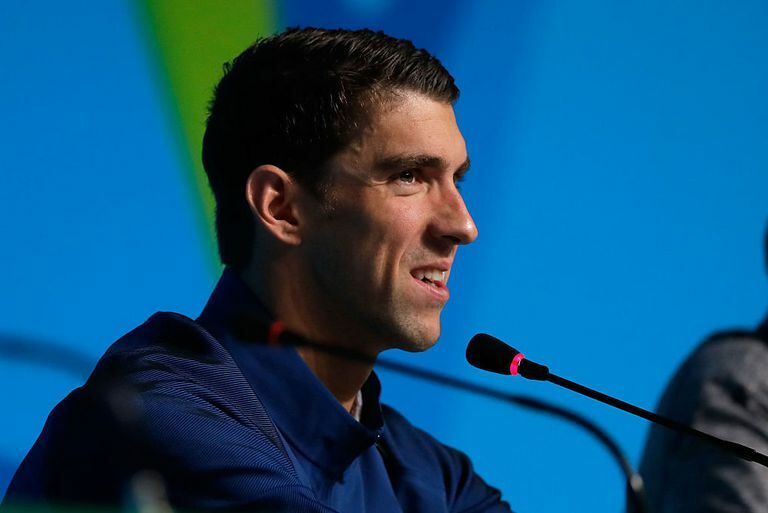 Phelps later said he had battled with addiction during his comeback, and he was even dropped from the 2015 World Aquatics Championships due to a DUI. But, he kept at it, made the U.S. Olympic swimming team and was even chosen as the American flag bearer for the opening ceremony at the Rio Games in 2016. Then, he went on to win six more Olympic medals, including five golds — making him the most decorated Olympian of all time. So, who knows? We may see Phelps teaching his protege — perhaps a future swimmer who will even break his astonishing records.